Twenty miles off the coast of Cornwall lies one of the most fiercely contested Brexit battlelines. Do UK fishermen still want out? Crystal Sea is a 20-metre twin-rig stern trawler, one of the bigger boats operating out of Newlyn in Cornwall. Twin rig means she drags two nets, side by side. She catches a mix of fish, up to 30 different species, operating anywhere between six and 120 miles from home. In the four days I am on board – to get a Brexit perspective from 49° 48’N, 5° 48’W and thereabouts, as well as to get some idea of what this very tough job involves – we are mainly between 10 and 20 miles from shore." The birds are joined by dolphins, in from the flank, five or six of them, leaping joyfully from the face of a wave. They like the company, the skipper Dave Stevens likes to think, and he likes theirs; it’s reassuring. They’re not here for a meal, though – they’re here for the show. And what a spectacle it is, all that colour and splashing and dive-bombing. It’s beautiful and thrilling, horrific and terrifying, all at the same time. What a racket, too: the avian screeching, the grinding of the trawler’s main power winch, the metallic clanking of chain and trawl doors, the howl of a south-westerly force 7. There’s a bit of human yelling, too, men trying to be heard above the elements. In the wheelhouse, Dave turns the boat through 90 degrees, so that the net moves from the back to the side. Operating the smaller winch, Latvian fisherman Girts Kraulis hoists the dripping trawl up out of the sea, a huge teardrop of fish, some with their heads poking through the holes, as if taking one last look at the world they’re leaving. Braced on the pitching deck, Girts’s countryman Robert Vimba helps to manoeuvre the net into the bag hatch. Girts lowers it to the fish deck below, where Robert’s twin brother Edgar unties the bottom of the cod end and the catch spills out into the fish hopper. No cod today, but plenty of other fish: haddock and John Dory, plaice, sole, squid and cuttlefish (the ink from which has squirted over some of the others). The dead and the dying nearly reach the top of Edgar’s boots. A crab makes a vain dash for it, a dogfish writhes, the last pulses of life travel along the fins of the flatfish. A big monkfish yawns, opening up a vast and ancient cavern full of stalagmites and stalactites. Soon it will have its head hacked off (monkfish go to market without their heads: too ugly). Heads you lose, tails you also lose – or win, if you’re the fishermen: they like monkfish, and John Dory, which fetch a good price. Now Girts, Robert and Edgar stand in a line at a conveyor belt with their knives, gutting, sorting, discarding, chopping the wings off the rays, which will be skate when they get to the fishmonger. Dave joins them, keeping an eye on the screen which shows where they are at sea, and if there are any other vessels they are in danger of colliding with. There’s not much banter, very little chat even; they just get on with it. The fish is washed, sorted and sized, lowered further down into the refrigerated hold, where it is packed with ice in boxes and stacked. By which time the nets will have already been out again for a couple of hours, ready to haul again in another three. It’s relentless, working on a trawler. Crystal Sea is a 20-metre twin-rig stern trawler, one of the bigger boats operating out of Newlyn in Cornwall. Twin rig means she drags two nets, side by side. She catches a mix of fish, up to 30 different species, operating anywhere between six and 120 miles from home. In the four days I am on board – to get a Brexit perspective from 49° 48’N, 5° 48’W and thereabouts, as well as to get some idea of what this very tough job involves – we are mainly between 10 and 20 miles from shore. At 10 years old, she is also one of the newer and better-equipped boats operating out of Newlyn. 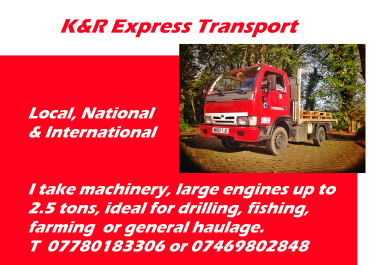 As well as all the mechanical gear a modern trawler has – winches and cranes, conveyor belts and ice-makers, the navigational equipment, GPS and radar – there’s a washing machine. The galley has a cooker, fridge, toaster and a deep-fat fryer. There’s a telly, on, loud, all the time – Homes Under The Hammer, Bargain Hunt, Scotland-Fiji in the rugby – even though there’s no time to watch. There’s even wifi, via a satellite. If I’m making it sound comfortable, it isn’t. Crystal Sea is a working fishing boat, damp and cramped. The cabin is especially hellish, down a ladder into a hot dark smelly hole below the waterline where you have to fumble to find your bunk. At the same level but forward of here, through a bulkhead, the fish sleep on ice. Dave Stevens’ family, from St Ives, have been fishing for generations, Dave has been doing it for 29 years, since he was 15. Now he works the boat with his brother Alec, and they do alternate weeks. It gets harder as you get older, Dave says. A big bear of a man – all the men are big – he’s unflustered, traditional, thoughtful and softly spoken, with a gentle Cornish accent. Girts, aged 47, and the Vimba brothers, 32 (it’s hard to tell them apart when they’re in their oilskins and you can’t see Edgar’s tattoos) are from the port of Ventspils on the Baltic. They commute from Latvia to Cornwall: two months on, one off, leaving friends and family behind. Girts’s daughter joined him for a bit, got a job in a crab factory, but now she’s back home studying law. On the boat, Girts’s mood is directly proportional to both the weather and how the fishing is going. The men, including Dave, are paid on a share-of-catch basis; on a good week, they can net a grand each. Edgar doesn’t have a family, but Robert has a wife and two kids with another on the way. She would like to come over; he’s not sure about it. He’s at sea, there’s no family to support her here – and if she went back to work, it would probably be to a crab factory, whereas in Latvia she’s got a nice office job for a fuel company. None of them know how their lives will be affected by Brexit. A high-pressure system is expected imminently from the south, bringing fair, settled weather after 45 years of storms and poor fishing. Or this is how Brexit looks to Dave, and to the 92% of the British fishing industry who in June 2016 voted to leave the EU. (Dave can’t imagine who the 8% are; probably people with some kind of European financial interest, he says.) And to be honest, it’s not hard to understand why he and other British fishermen haven’t exactly felt the love towards Brussels, even for a die-hard remainer. As a member (just) of the EU, Britain is signed up to the Common Fisheries Policy (CFP), which means we do not control our own waters. All the rules – about catches, quotas, discards – come from the European Commission. Fish are seen as a common resource; waters are shared; you fish in mine, I’ll fish in yours. Voulez-vous pêcher avec moi, ce soir? It sounds like the very spirit of European unity and collaboration, but if you speak to Dave, or any other British fisherman or fisherwoman (a rare species in British waters), they’ll tell you it simply isn’t fair. Britain has some of the best fishing grounds in Europe; suddenly, after 1973, we had to share them. So we’re free to fish in their waters, too? So what, we’re not bothered – the fishing’s fine at home. 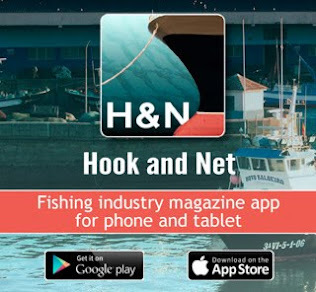 The total number of fishermen is now around 12,000, down from around 20,000 in the mid-90s. While the fishing industry plays a tiny part in the UK economy, it fights above its financial weight. Why? Because it’s the beating heart of coastal communities around the country; because it has shaped pretty harbours (as well as less pretty ones), inspired British folklore, literature and art; and, more recently, because a proud island state losing control of its territorial waters came to encapsulate a lot of what was wrong with EU membership. Since Dave has been fishing, he’s witnessed the decline of the industry first hand. The total number of fishermen is now around 12,000, down from around 20,000 in the mid-90s. The number of fishing boats in the UK fleet has fallen by 29% since 1996. Skipper David Stevens looks out from the wheelhouse as the crew prepares for the nets to be pulled in. Photograph: Antonio Olmos for the Guardian. By take, he means keep, as opposed to discarding. On this trip he’s been discarding haddock, because he’s catching many more than he has a quota for. To see a beautiful freshly caught haddock going down the chute with the offal, dead, into the sea is a sickening sight, unless you’re a lazy gannet. Dave says his leave vote wasn’t purely based on fishing; he made up his mind while visiting the EU headquarters in Brussels. He was there to make a presentation to a roundtable meeting about a filter that would allow smaller fish to escape the net, after which he went to meet his MEP, Julie Girling, in the chamber. The floor started to fill up, hundreds of people. “So I asked Julie, ‘Who are all these people? They can’t all be MEPs.’ And she said, ‘No, most are lobbyists, working for either NGOs or big chemical companies and the like.’ I was kind of taken aback. I’m not naive, I know that lobbying goes on – but it was the enormous scale of it. There must have been four or five lobbyists for every MEP.” He asked her how often she met her constituents, and she said it was quite rare for them to come to Brussels. “And I said, ‘That’s it, I’m out.’” When Dave talks about the hordes of circling lobbyists, it’s hard not to think of gannets. As we talk in the wheelhouse, he’s keeping an eye on what’s going on, outside, and on the panel of screens in front of him. One shows where we are, and who else is around (there are no other fishing boats); another shows the topography of the seafloor; a third shows the F1 Grand Prix from Brazil (we have Sky Sports, too). A big white splodge on the radar is an approaching squall. They generally seem to hit at hauling time. Gale warning issued: 09.50 on Mon 12 Nov 2018 UTC. South-westerly gale force 8 expected soon. Wind: westerly or south-westerly 5-7, occasionally gale 8 in north. Sea state: rough or very rough. Weather: thundery showers. Visibility: mainly good. Today there are no high-pressure systems coming from the south, bringing fair or settled weather. The conditions are “poor”, as Dave says, with characteristic understatement, for the whole trip. Strong winds, big seas, five-metre waves; this is about the worst weather they go out in, and why we’re at sea for just four days, instead of the usual six. But even storm clouds have silver linings. Being one of the bigger boats in the fleet means Crystal Sea is one of the few that will be out in these conditions. 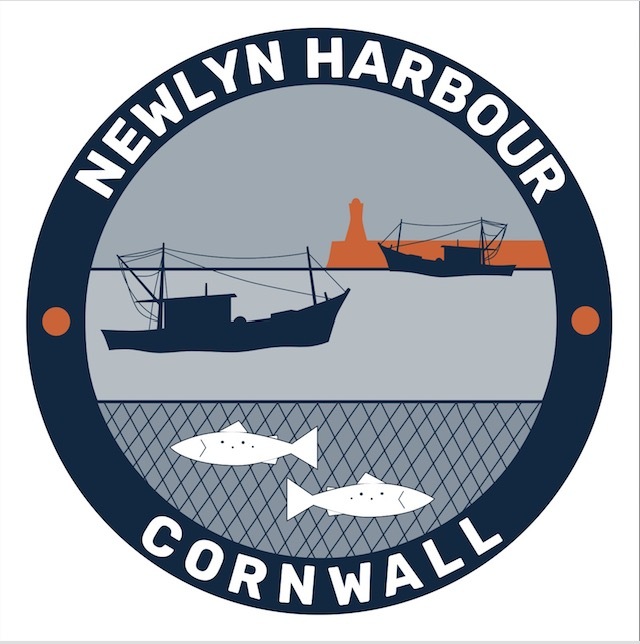 One of the larger beam trawlers from Newlyn had to be towed home by a sister ship due to engine trouble in the night. 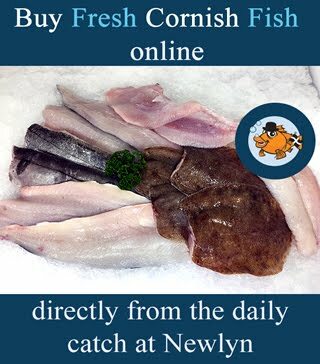 But we’re still catching fish – a lot of fish, and good fish: plenty of John Dory and monkfish. And because rough weather means fewer fish coming in, the price tends to go up as the Beaufort scale does. Robert says it’s not so bad. Until recently he was on a crabbing boat, and that was more physical, with more lifting. But trawling is more dangerous, with all the heavy gear and cables and everything thrashing around in the big seas. “Every job is as dangerous as you make it, but we really are exposed,” Dave admits. He had an accident when he was 20, working on his dad’s boat north of Scilly. “A big piece of equipment came down, pinned me to the deck and crushed my leg. I was taken to shore by the lifeboat, I was lucky – then to Truro by air ambulance, where they patched me up.” Dave, not one to exaggerate, reckons that without the helicopter he probably wouldn’t have made it. From where I’m standing – or trying to stand – it looks both dangerous and bloody hard work. 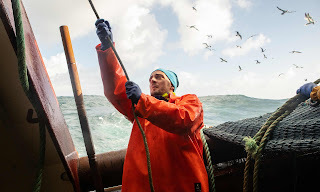 There is the sheer constant physicality of it – handling heavy warps and chains, pulling, tying, lifting – and the absolute relentlessness of it: haul, shoot the nets again, process, pack, store, grab a couple of hours’ sleep if you can, on watch, haul again, 24/7. Plus cooking, one proper meal a day, burgers and chips, stew, rice, no fish (I’m not surprised, I don’t feel like fish). Meanwhile everything and everywhere – your workplace, kitchen, bedroom, toilet – is bucking around like a bronco. Of course there is a bloody great blue whale in the cabin here. Are the Latvian crew – Girts, Robert and Edgar – aware of the irony? Has the leave skipper not noticed that his workforce comes from another EU member state? Girts, whose English is the best of the three, tells me he’s concerned about the prospect of a hard Brexit, and what that would mean when it came to his right to live and work in Britain. Dave doesn’t think it will be an issue, even with a hard Brexit. “I don’t see them stopping people moving around Europe,” he says. “We believe in fair play,” he adds, old-fashionedly. It has been hard to recruit locally. “It’s the fault of our industry, and the reputation our industry has,” Dave says. “People see it as a dangerous, dead-end job. All the talk in the media is that there are no fish left in the sea, we’re not sustainable, it’s all our fault – and it really is not like that.” He continues to look forward to having a mix of crew, from Latvia, the UK, wherever, just “the best guys to go to sea with”. A bigger worry for Dave is that the transition period, throughout which the UK will still be tied to the CFP, will drag on for years – more negotiations, new rules being drawn up, new quotas, new rights of access. Or that they will be betrayed again, as they were in 1973 – the government (whoever it is) trading access to British waters in order to secure more favourable terms in other, more profitable sectors. And it won’t just be a few haddock, it’ll be the entire UK fishing industry going down that offal chute to be fed to the gannets. Right now though, there’s a boat to be unloaded. After four days out, Crystal Sea chugs slowly back in to Newlyn once there’s enough water to get in on the rising tide. Conditions aside, it has been a decent four days. In the hold there are 230 boxes of fish – monkfish, bream, ray wings, dover sole, sand sole, lemon sole, Cornish sole, all the soles, squid, cuttlefish, crab, conger eel, hake, lobster, plaice, gurnard, haddock, John Dory, octopus, red mullet, sea bass, lesser-spotted dogfish, smoothhounds, tope, turbot and whiting. 9,288kg in total. We’ve also brought back a tonne of rubbish, dragged up from the bottom of the sea – discarded crab and lobster pots; rusty old oil drums; a few trainers (there are usually trainers: they come from a container that fell off a ship 20 years ago, and are still being fished up); the vertebra of a large whale. Dave’s dad, David Sr, 68, who doesn’t go to sea any more but is still very much involved, is on the quay to help unload and operate the crane. The boxes are lifted from the boat on to the waiting lorry, which leaves for Plymouth, where the fish will be sold in the morning. 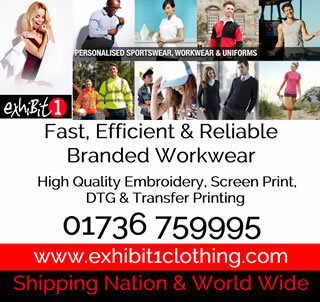 Most will go to the UK market – wholesalers, fishmongers. Some will probably go to Europe, still. Some might even go to the Middle East, or China. Dave gets a week ashore, just in time to scrutinise Theresa May’s draft deal. He’ll be concerned about possible links between access to waters and trade. And about the transition period getting drawn out. But at least, during that time, he gets to keep his crew. Edgar, Robert and Girts will sleep on the boat tonight, but it won’t be pitching about and they won’t have to get up through the night, pull on oilskins and boots. Tomorrow they’ll be off to sea again. This time the forecast isn’t so bad. • Commenting on this piece? If you would like your comment to be considered for inclusion on Weekend magazine’s letters page in print, please email weekend@theguardian.com, including your name and address (not for publication). Why did the fishing industry vote for Brexit? In June 2016, a poll suggested that 92% of the fishing industry voted to leave the EU. After the trip Sam talked through his experience aboard the Crystal Sea with Anushka Asthana in a podcast. As Anushka says in the podcast, you can follow the exploits of David and the Crystal Sea on Twitter - the account name is based on the name and port registration (St Ives) of the boat, Crystal Sea SS118. At the time of the EU referendum in June 2016, a poll suggested that 92% of the fishing industry voted to leave the European Union. The question of fishing rights has remained a sticking point in negotiations ever since. Theresa May has so far agreed that the UK would be an independent coastal state after Brexit. But the final deal on fisheries can only be completed after the UK leaves the EU. The industry is nervous that it is going to be betrayed. 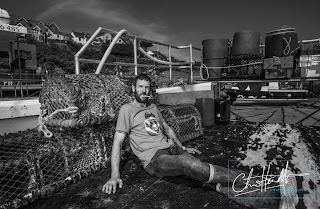 The Guardian’s Sam Wollaston spent four days on board the Crystal Sea, a fishing trawler based out of west Cornwall, to find out why this industry is so keen on Brexit. Listen to skipper Dave Stevens in the Guardian’s Today In Focus podcast on Monday 26 November. Story by Sam Wollaston, photography by Antonio Olmos.